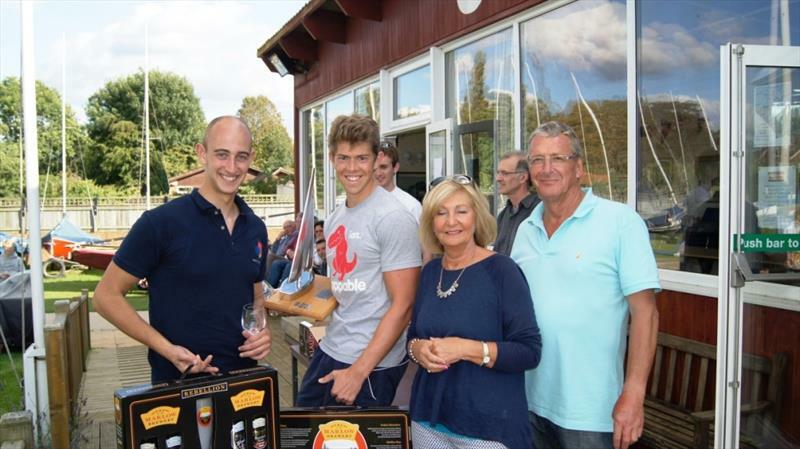 Chichester Yacht Club's first open event of the "Summer" season was a combined event for the Merlins and the Hadron H2. The day started with many travelling boats being assembled in the car park of the sailing club on a cold and overcast morning with a light to medium wind from the west. 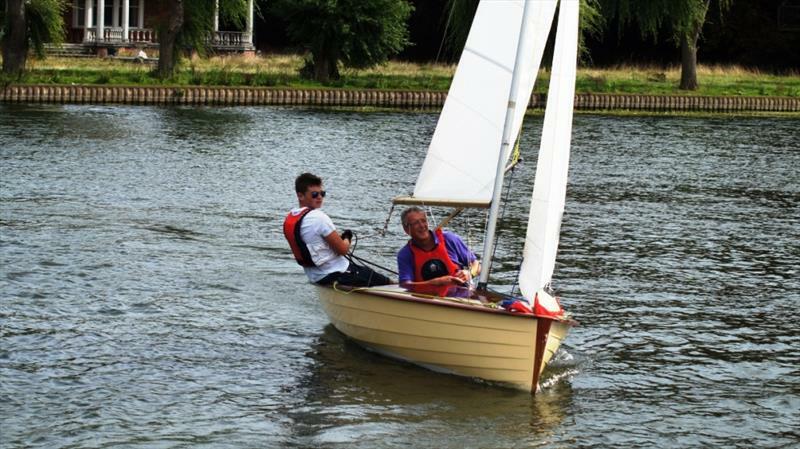 The Race Officer, Richard Anderton, set a triangle-sausage course across the lake, trying to maximise the length of the beat in the westerly wind. The racing started at 11am as soon as the water was deep enough for the Merlins to sail over Monkey Island in the middle of the lake. There was a good turn out of 28 Merlins to attend the first race in their Silver Tiller series. At quality of the fleet was demonstrated by half the fleet claiming a top 5 result in one or more races. In Race 1, the winner was Chris Gould and Chris Kilsby. The course had to be relaid before race two due to a southerly shift in the wind, Race 2 was won by Christian Birrell and Sam Bevoy. Race three was won by Ben and Roz McGrane from Netley SC. 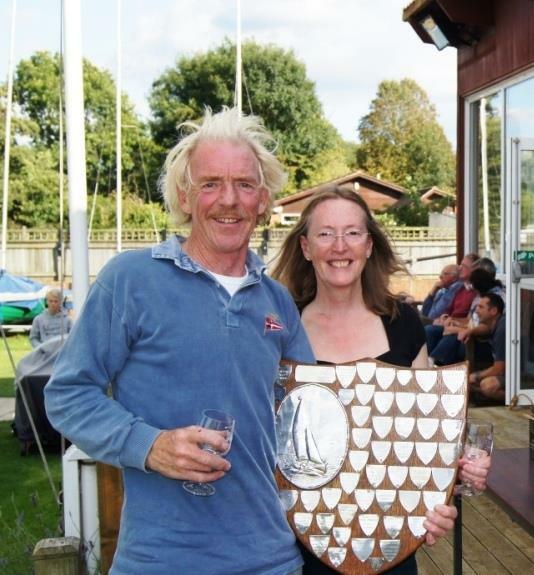 When the series results were calculated Ben and Roz McGrane were the winners with 4 points, then three boats had 5 points, with Christian Birrel and Sam Bevoy taking second place, Chris Gould and Chris Kilsby taking third and Roger and Jane Gilbert fourth. For the second year, the event was shared with the Hadron H2 open meeting. This year 7 boats travelled to the event. The clear winner with three first places was Ian Dawson from Warsash SC, Second was Simon Hipkin from Walton and Frinton SC and third was Richard Holden from Arun YC. At the prize giving the designer of the Hadron boats, Keith Callaghan, donated prizes to award to each of the competitors.